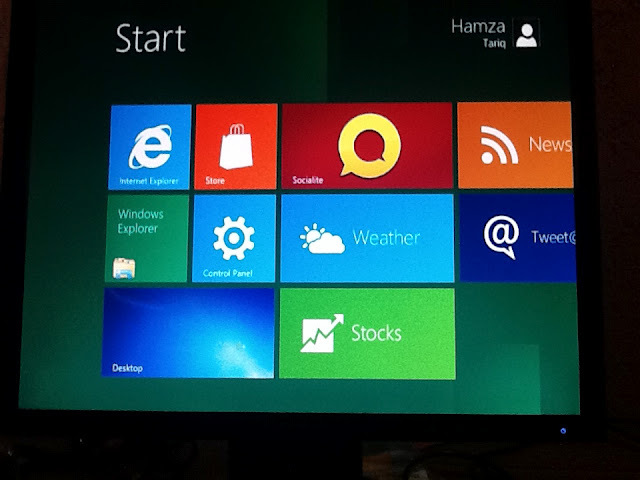 A day ago, Microsoft has launched the most awaited Consumer Preview of Windows 8 in the public; the Consumer Preview is appeared to be available for both PC and some tablet devices that are currently present outside the company range. The fresh Consumer Preview of Windows 8 is appeared to be a single OS for both desktop and tablet devices that carry some handy UI elements that help Microsoft in seeding a single OS to both different types of devices. Microsoft has been working on the Windows 8 from a long time, and now finally is appeared to be reaching its destination, as the Redmond Company has announced the addition of 100,000 new features into the Windows 8 Consumer Preview over the Developer Preview version. Since the Windows 8 Consumer Preview is out in the wild, we have been started hearing from the community that the OS is purely designed for touch UI, while at the back-end it supports the old-age desktop version of the Windows. Windows 8 is seemed to be carrying some handy gestures, and features that help Microsoft in gaining market in the tablet world. However, the operating system is still in beta, and there are many things are missing from the OS, but we believe that Microsoft will improve it a lot until the official launch of the Windows 8 for tablets and desktop PC’s. Microsoft is appeared to be worked hard to deliver some central concepts of the tablet UI to the Windows 8, and many developers out there now believe that new Windows 8 tablet OS is surely going to hit the market, and may stole other tablet OS users with its handy attractions, and the multi-tasking abilities. We have also used the Windows 8, and really impressed from its booting time, as well as the Windows Phone like live titles, along with pure gestures based “user-interface”. Windows 8 is appeared to be getting a SkyDrive syncing capability similar to the Apple’s iCloud, as Microsoft is also thinking to provide some extra features on their new OS. In addition to Microsoft Windows 8 work on OS, the folks over The Verge have managed to get hands-on with the Windows 8 tablet at their head-quarter, and moreover, they came up with a little side-by-side comparison of Windows 8 tablet powered with new Consumer Preview, and an iPad 2 with iOS 5.0.1. After the comparison, we came to hear that Windows 8 is very impressive, and is now delivering the central concepts of the operating system that Microsoft had been developing from months to beat its rivals in the market. Moreover, we believe that Windows 8 tablets soon going to rule the market, as they are now carrying some handy features that are significantly missing from all Android tablets, and as well as from the Apple’s iPad series. However, the Windows 8 tablets are still far away from the launch, so we can just assume whatever we want. Just right after the Mobile World Congress 2012, the Microsoft is finally back on track with their most anticipated launch of the Consumer Preview of the Windows 8. The Consumer Preview launch is appeared to be the biggest release of the upcoming operating system, as it carries the number of new additional features to the operating system since the release of Developer Preview of the Windows 8. Microsoft has finally pasted the Consumer Preview of Windows 8 files on their server for the public download of the newer Consumer Preview of the Windows 8. Microsoft has announced that they have made around 100,000 changes into the Windows 8 since the release of first public beta release of Windows 8 under Developer Preview. Microsoft has also announced the Windows Store for the Windows 8 along with couple of pre-configured applications on the Store. 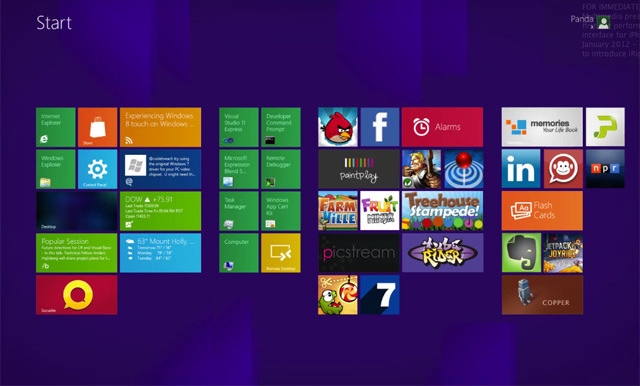 Moreover, the newer Consumer Preview of the Windows 8 carries some pre-installed applications for the touch UI devices. Microsoft has stated that if anyone wants to test the touch response of the operating system, they have to connect some touch LCD with the system configured with Window 8 Consumer Preview. Microsoft has previewed the Windows Store with highly designed with Metro-UI style, and promoting some popular applications for the Windows 8 on the Store like the USA Today and Cut The Rope on their Windows Store. In addition to some popular applications, Windows Store also features some third party applications such as Kindle, WordPress, and iCookbook. In addition to standard Windows 8 Consumer Preview, Microsoft has also previewed the Windows 8 Enterprise features that brings the old feature of Windows To Go on Windows 8, and allow the user to boot into Windows 8 directly from the USB-stick. Microsoft has also hinted at the Bing Maps upcoming application for the Windows 8. Microsoft Windows 8 Consumer Preview is available on the web-store, and ready to download for the different devices, as well as they have stated minimum requirements for the system to run Consumer Preview of Windows 8 on it. Microsoft Windows 8 Consumer Preview comes up with some sort of additional tools that guide you on upgrading your Developer Preview into Consumer Preview or come in a an ISO file. Download the Windows 8 Consumer Preview from here. After serving the first developer preview version of the Windows 8 last year in the public, and couple of early milestone leaks finally Microsoft is heading to preview the recently announced and much hyped Windows Store for the Windows 8 running machines and tablets, just like an Apple iTunes Store. 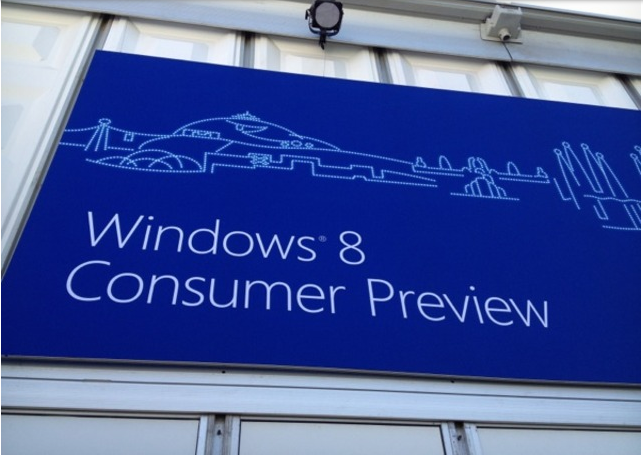 The company is already on the way to deliver its first Windows 8 “Consumer Preview” in the public. Windows 8 Consumer Preview is said to be carrying the many features inside it, just like the first developer preview version and according to the latest tidbit. We come across to know that new Consumer Preview of Windows 8 will also carry few launch games in the Windows 8, to test the complete functionality of the Window Store. According to the source, the Pinball and Solitaire will come pre-installed on the Windows 8 Consumer Preview build, but the other games will be available on Windows Store games section as an optional downloads for the Windows 8 machines. Microsoft’s Windows Store will also allow developers to submit their apps for free of cost, or become the official developers by charging between $1.49 to $999 per app or game, while the Redmond Company taking 30% of a proceeds at first, and will be reduced to 20% after an app reaches $25,000 in sales. Microsoft is readying up to launch the Windows Store late in February, along with the Windows 8 Consumer Preview. Follow us on Google+, Twitter or Facebook to remain in touch. We will keep you updated! 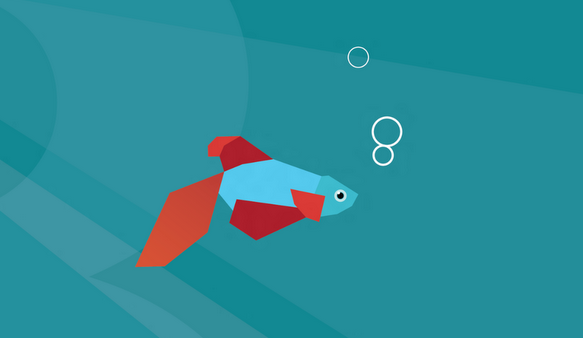 We have already a big fish in the tablet market tank, with its most famous product called iPad. But still there is a large number of other vendors that are making quite few money from their branded tablets in the market with not user loving operating System. However, Android has also a big tablet market, but the other vendor in the market is now thinking to adopt the Microsoft’s tablet friendly Windows 8, to power their next-generation tablets to entertain users in 2012. We have seen a large number of tablets in CES 2012, waiting for Windows 8 tablet version actual launch from Microsoft to make debut in the market. 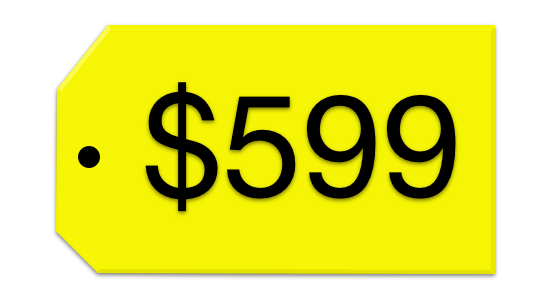 Digitimes today comes up with a source claimed note suggesting that Microsoft and Intel are together again to cut out the market of Apple with the launch of both vendors powered Intel Windows 8 tablet in the market; however, both giants are not agreeing with each other in the price ranges of the newer version tablets. It is reported that Intel is not agreeing to cut down the price of its platform in the market, and at the same verge, Microsoft is not agreeing to cut the price of its Windows 8 license for Windows 8 Intel powered tablets. In directly, it seems that those new Intel Windows 8 tablet not going to compete with the iPad in any market, because the starting range of that tablets will force the users to ditch them. In the report, source claimed that Intel Windows 8 tablet will launch in the $599 to $899 USD price range, which seems to be a biggest favor for the ARM based Windows 8 tablets and notebooks in the market. Currently, in the market, a large number of smartphones are powered with ARM technology, where Intel has not much grip in the market on the smartphones processor. Apple had also introduced its own range of micro processors for its iOS devices, and according to the reportm they are soon going to launch micro processors to power their own iMacs, Macbook Pros. BlueStacks is a company of the small group which is famous for bring Android applications to the Windows platform in last year, and now have been reportedly planning to bring all the latest and a huge number of Android games to the Microsoft’s Windows 8. The company has announced that they are working to bring 400,000 Android apps to the Windows 8 this year anytime. The company has released its “App Player” last year in October for Windows 7 to bring Android apps and games to the Windows, and this year announces that the recent launched program is now getting the update to become compatible with Windows 8 structure. Android Apps on Windows 8 will be run like a normal app running on the Windows 8, and the new app player will be similar to the older Windows 7 version that doesn’t require any porting of files from devices to Windows based PC machines. BlueStacks also claims in the CES note that their new app player will be work natively on ARM based devices or x86 Android apps on Windows based PC’s and tablets. BlueStacks also announces that they are currently working with PC manufacturers to include their app player by default in the machine to bring the Android apps on the bigger scale on Windows based PC’s and tablets. BlueStacks told that they have already inked a deal with Taiwanese manufacturer InHon to include their App player in the Windows 8 based tablets. The publishers over the CES 2012 event have reported that they just got hands on the latest BlueStacks “App Player” for Windows 8 devices to test, and found out that the player is meanwhile in the alpha stages and requires a bit work before making around on public machines. BlueStacks have also planned to launch the first beta copy of their program to the public in February, at the same time when Microsoft has planned to launch its Windows Store for Windows 8 and Windows 7 PC’s and tablets. In the CES 2012 its time to take a look at the Windows 8 ARM tablets, which is said to be the latest tidbit come from the Microsoft in the software world to beat the fame of iPad in the real market. The Texas Instrument has just shown up its Windows 8 ARM powered tablet this week at CES 2012. 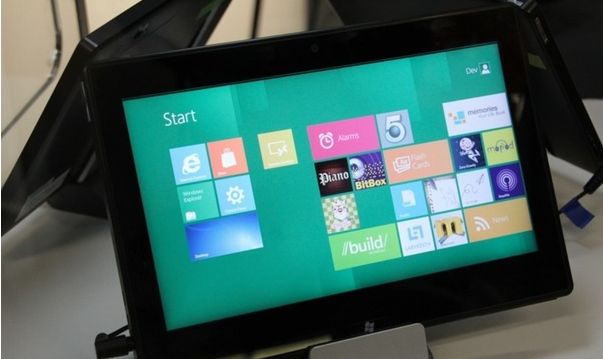 The tablet is said to be powered with OMAP4470 processor and runs on the tablet version of Windows 8. Texas Instrument has not given any name to the tablet yet, and reportedly to be come in front of all at the Texas Instrument booth at CES 2012. In the past Texas Instrument has refused to show up its new upcoming tablet powered with Windows 8 carrying the dual core 1 GHz processor to beat the current tablets in the market. Windows 8 is said to be the tablet friendly operating system, and we have seen the large number of manufacturers are now betting their products on the Windows 8 tablet OS. The Texas Instrument will be one of the first tablets powered with Windows 8 Tablets; we are also unsure about the experience of this Windows 8 powered tablet, as the firm has not given any access on the tablet and showed up the tablet behind the glass. The OMAP4470 dual-core 1.7 Ghz processor is one of the latest processors who is highlighted to power the Microsoft’s Windows 8 tablets in this year. We have not heard any words from both firms about the availability and the label of the tablet, but we can expect the launch of the device in the mid of this year, as Microsoft is going to launch the Window 8 tablet version in April.